Each January, many people focus on setting New Year’s resolutions that start off with promise but fizzle by February. In fact, research has shown that only 8 percent of New Year’s resolution-setters end up actually achieving their vision. Those statistics aren’t very inspiring. Make goals trackable. One reason that so many resolutions are doomed to failure is that they are expressed as little more than a wish. Resolving to “improve your marketing initiative” or “increase profits in 2017” may point you in the right direction toward areas that you’d like to improve, but the problem with simply stating goals as resolutions is that there’s nothing actionable, measureable, or trackable about them. To increase your chances of successfully reaching your desired outcome, it helps to set specific milestones that you can tackle en route to your ultimate goal. For example, if you want to do better at marketing this year, choose a quantifiable goal such as “I want to hire a new PR firm,” and then list the steps that it will take you to reach that goal. In this case, you might begin by researching 10 firms and scheduling interviews to learn more about them before choosing a new marketing partner. To make this goal even more quantifiable, you might additionally set specific goals in relation to the firm’s marketing efforts. For example, you might set a goal for the new PR firm to increase awareness of your brand among a specific audience by 15 percent before the end of the year, or to place thought leadership articles in three industry publications in the third quarter. Give it a deadline. Resolutions also often flop because of their open-endedness. For example, a resolution like “I want my business to become more profitable” doesn’t tell you anything about the timeline for achieving greater profits. Instead, be specific by giving your goals—as well as the steps needed to achieve them—definite deadlines. As with the strategy above, the more accurately that you can quantify your goals, the better chance you’ll have of achieving them. So for the profit-increase example, you might want to target hitting a 5 percent increase by the end of each quarter. Write an action plan. New Year’s resolutions are also frequently expressed only as verbal statements rather than written plans. By committing your step-by-step goals to paper (or better yet creating a file in an app like WPS Office Writer or WPS Office Spreadsheets), you’ll be helping to hold yourself accountable. WPS Office applications can facilitate your goal-setting efforts in other ways as well, when it comes to creating your action plan. You can use Writer to customize your document in many ways, from adding images for inspiration to customizing charts to visualize your progress. For even greater tracking ability with your action plan, you can use Spreadsheets to set up your own formulas and functions by categories that correspond to your specific goals. The Spreadsheets app allows you maximum flexibility to organize the steps in your action plan and assign goals and other variables to them. You can even use the app’s advanced modeling feature, which comes with what-if analysis functions including Goal Seeker and Solver. This allows you to improve your forecasting ability, which is particularly useful if your goal is complex and data-driven. 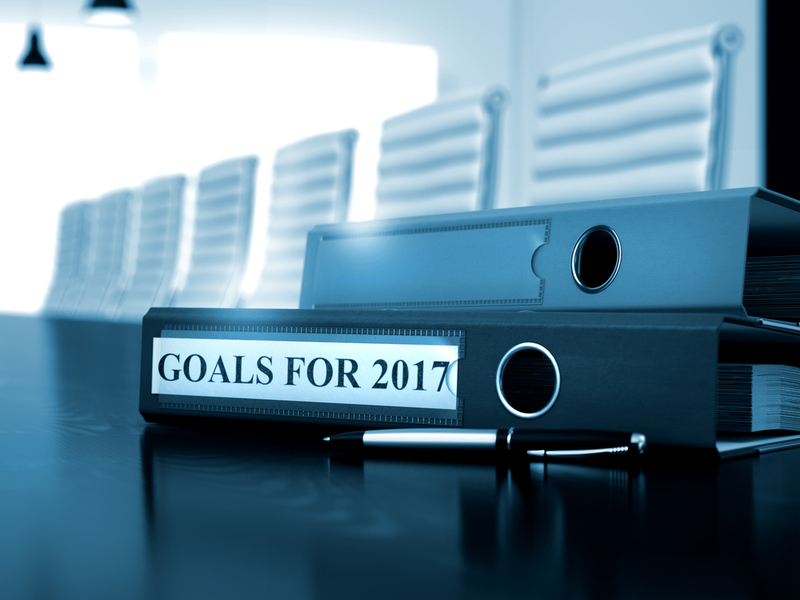 In our next post, we’ll continue our discussion of goal planning for 2017 with a focus on why establishing protocols and practices to stay on track is fundamental to your success. We’ll also share a few common obstacles to avoid and some strategic tools and templates that we’ve found to be indispensable.